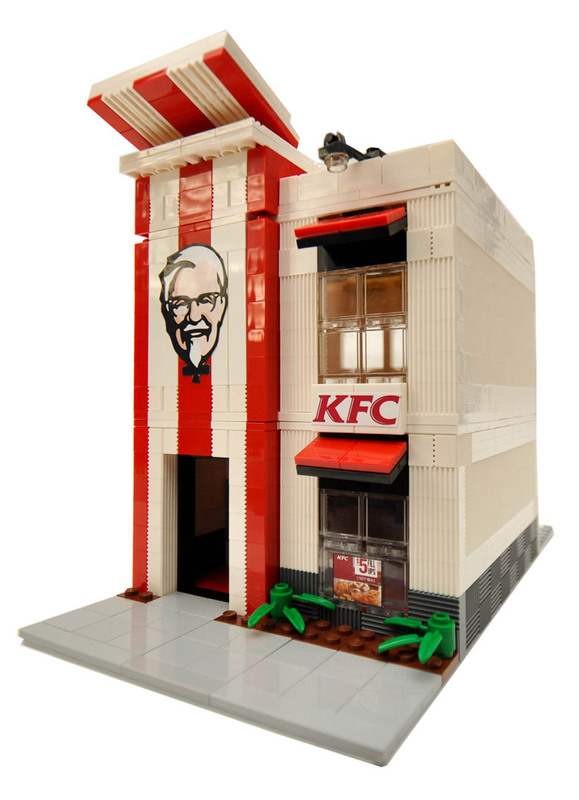 Lego has been steadily releasing new Modular Buildings for the past few years. 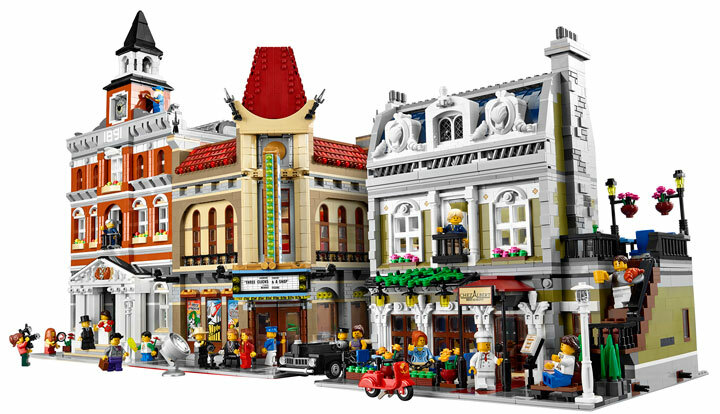 The recent, Palace Cinema (10232) , and Town Hall (10224) have proven extremely popular. 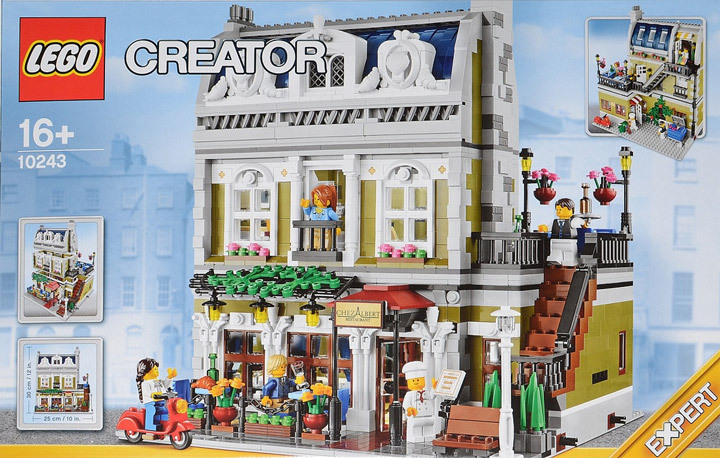 The newest set is the Parisian Restaurant (10243) which should be hitting shelves in the near future. 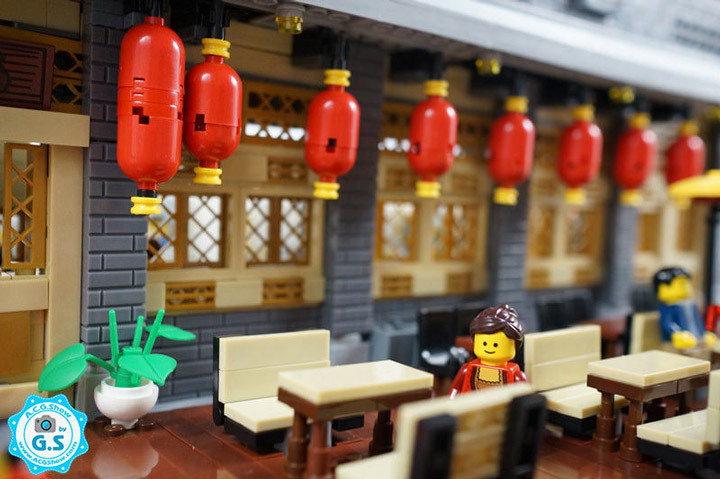 Huw, from Brickset, has recently posted an early photo review of this highly anticipated set. The Parisian Restaurant comes with the now standard 3 step instructions. Which, should take anywhere from 5-9 hours to complete. There are a whole lot of new and rare pieces included this time around. 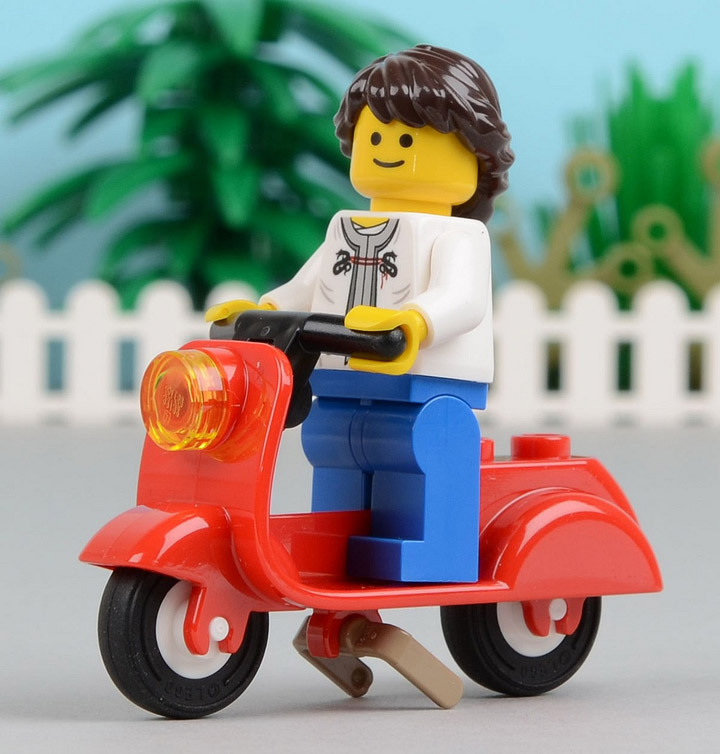 The most recognizable is the new Lego Scooter. This little red Vespa influenced scooter is extremely cute, and fits in perfectly with the Parisian Restaurant. 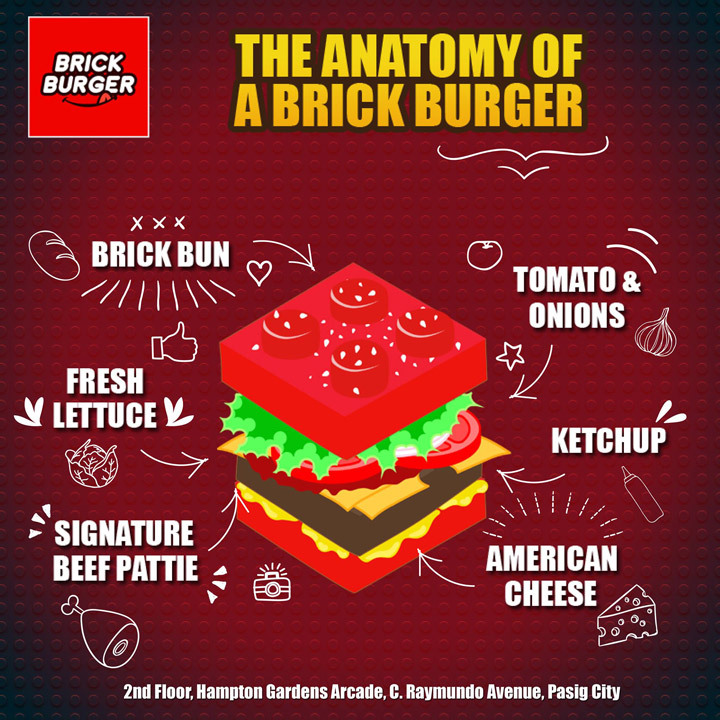 Also included are a whole lot bricks in the new Olive Green Lego color. 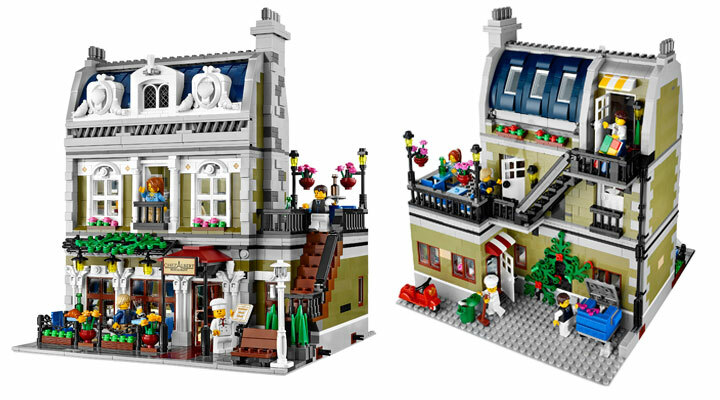 Since the whole building is based on this rare color, the Parisian Restaurant is probably the best source for these parts. 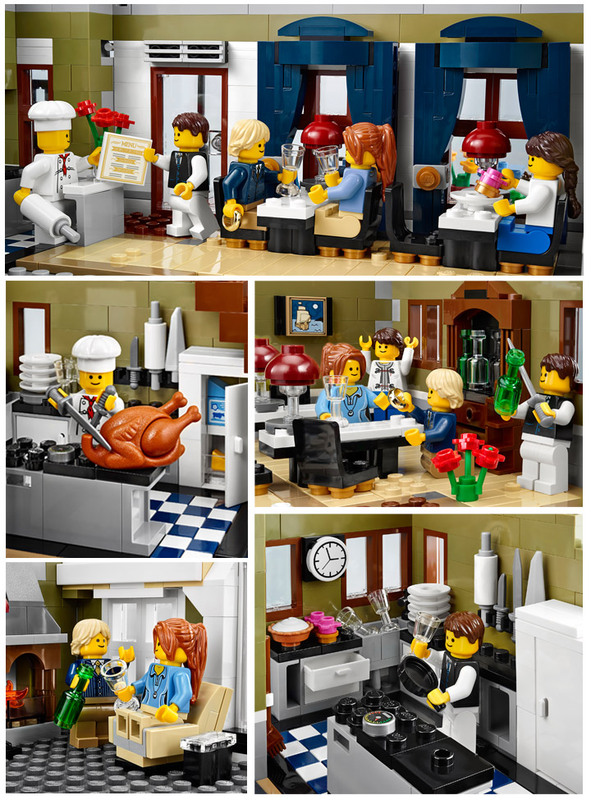 Featuring five Minifigures, a chef, waiter, two restaurant patrons, and the female scooter pilot. 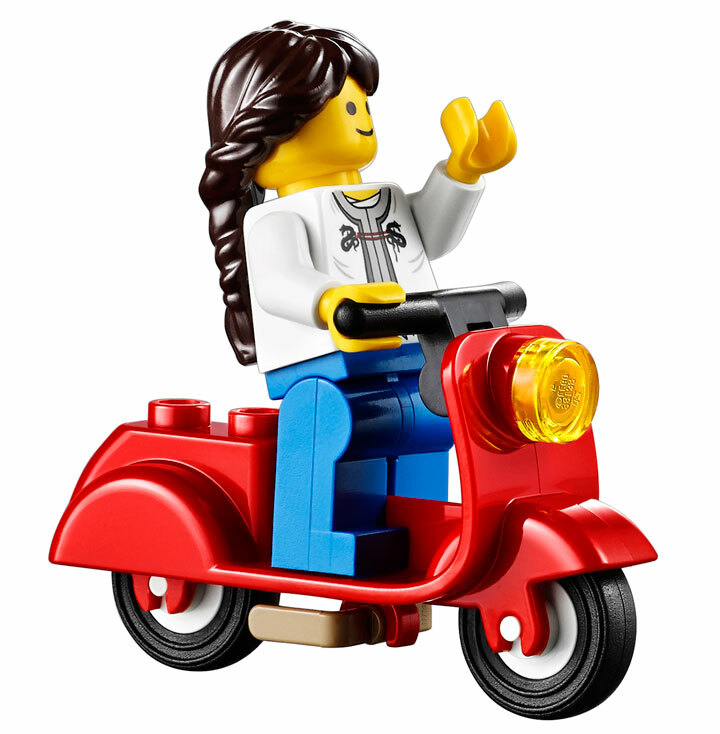 As usual, these included Minifigs all feature the classic smiling Lego head. 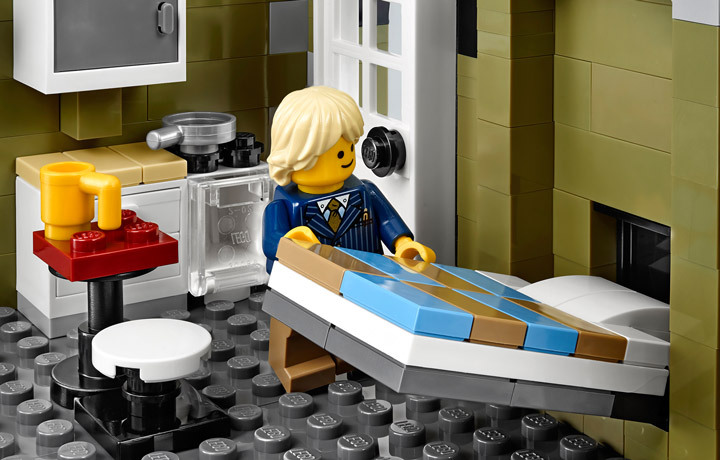 I like to think of the blonde man as a Lego Owen Wilson. 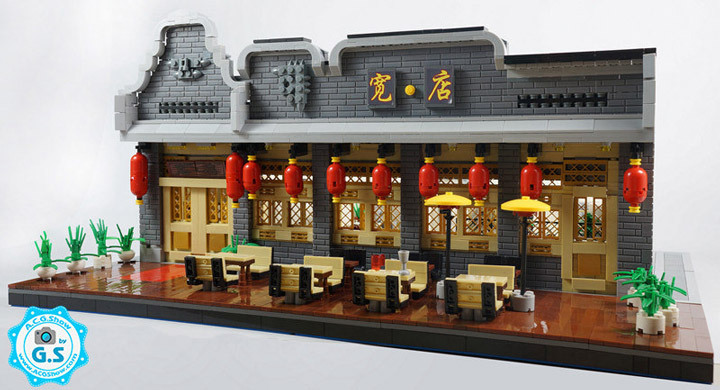 Huw notes that the increased detail means that the Restaurant takes longer to build. All three floors are furnished, with the bottom floor featuring an impressive amount of details. From the fully tiled flooring, to the full kitchen, everything here looks great. 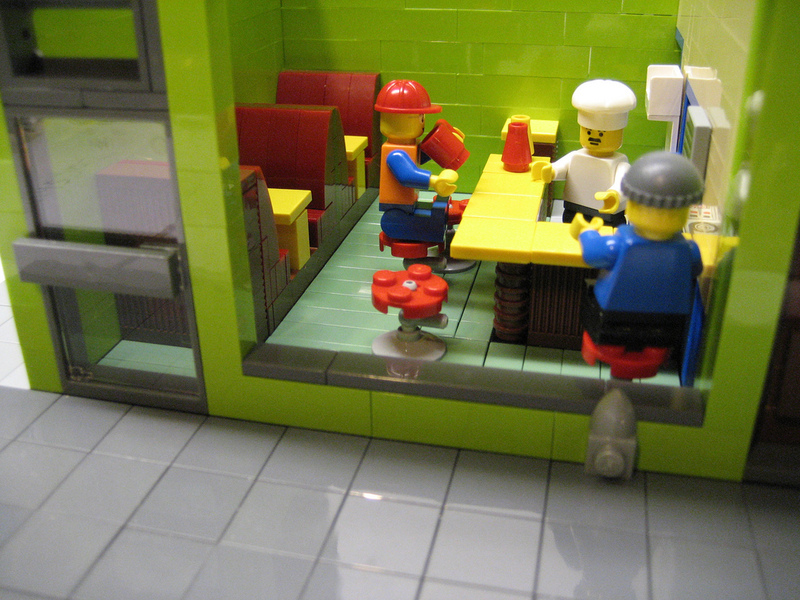 The Lego Parisian Restaurant is an excellent new entry in the Modular Building theme. The previous two seemed to be missing a certain spark for some fans, but this set has reignited their enthusiasum. The other good news is that there are no stickers this time around. 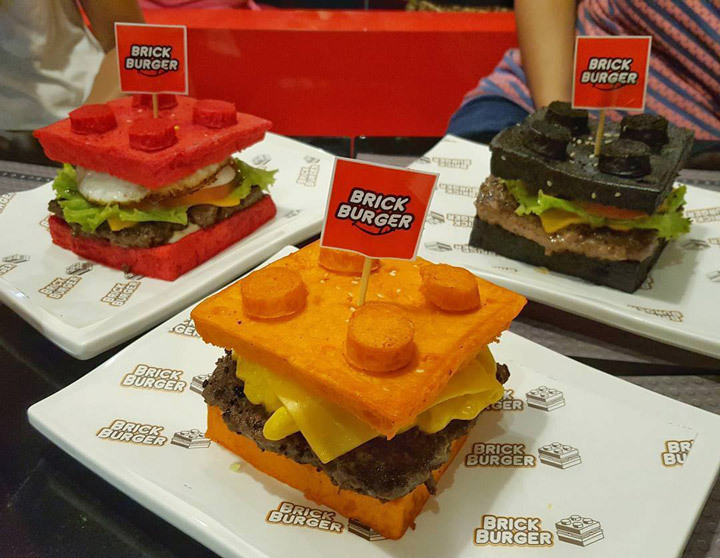 Everything here is given the premium treatment from Lego. 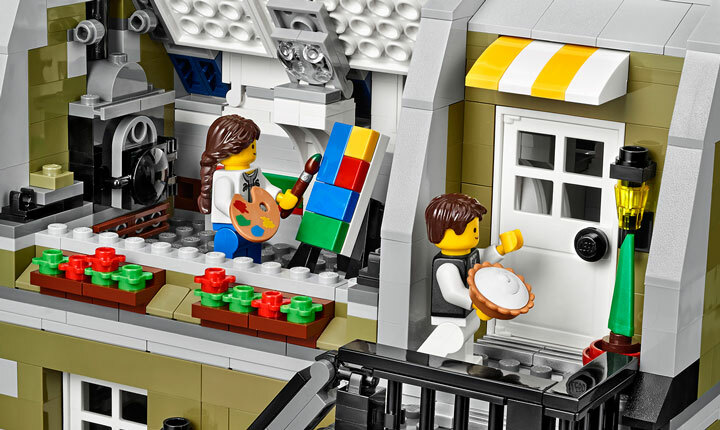 During Brickcon 2013 Lego has officially revealed the newest Modular Building, the Lego Creator Parisian Restaurant (10243). 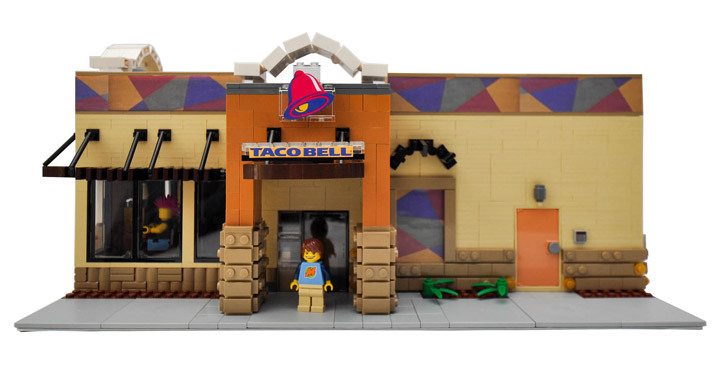 This is a very different modular then the recent releases from Lego. 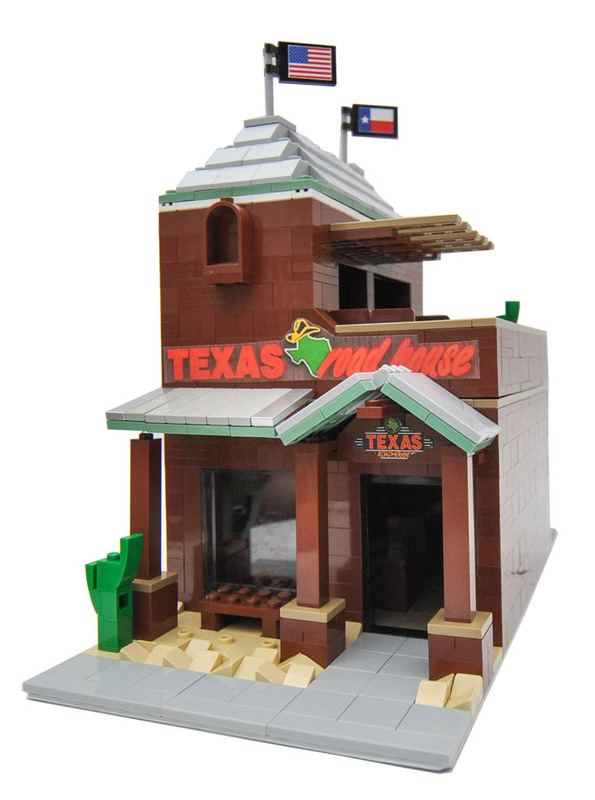 The building doesn’t completely fill (vertically) the 32 stud baseplate. 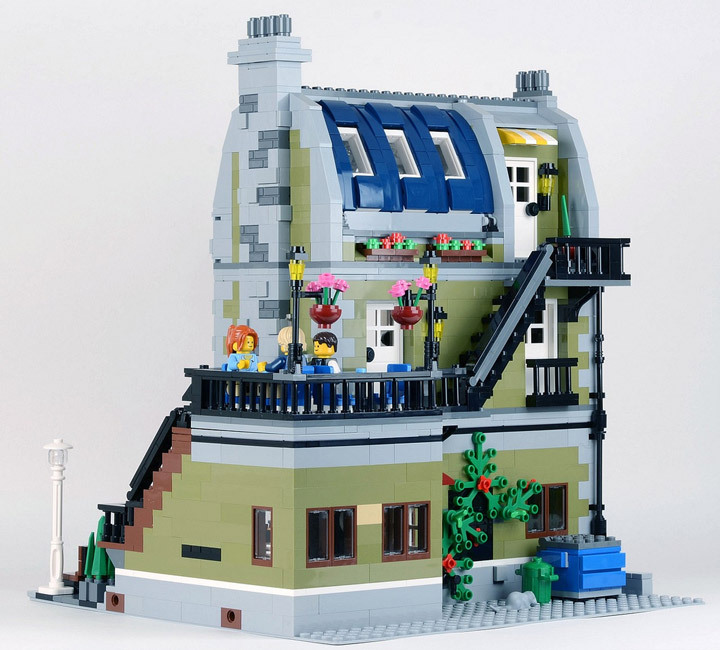 Instead having a small outdoor patio on the roof of the first floor. 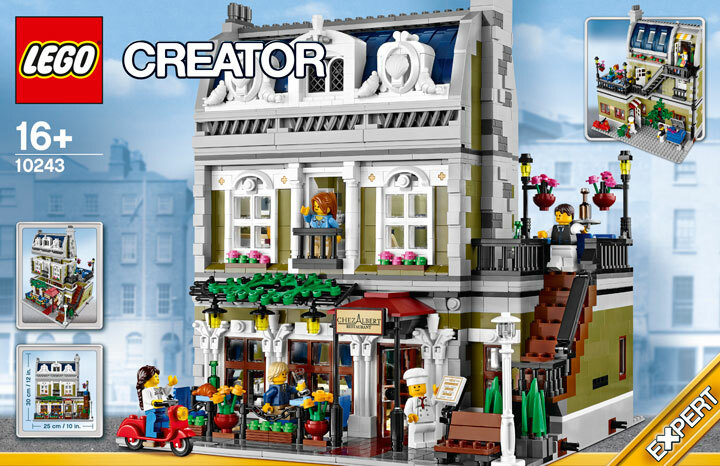 The first floor is an extremely detailed parisian restaurant. With a small apartment (Murphy bed!) on the second floor, and an artist studio at the top. 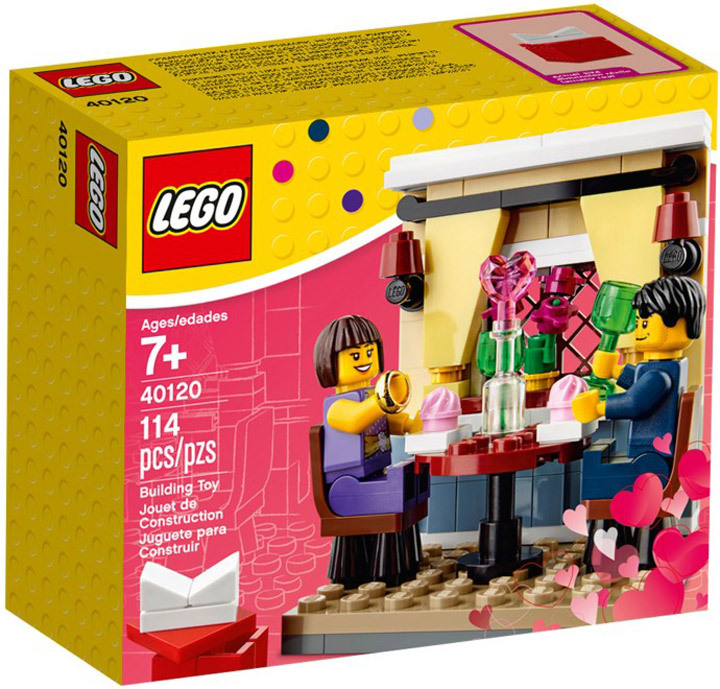 This set will come with 2,469 pieces at a price of $159.99. 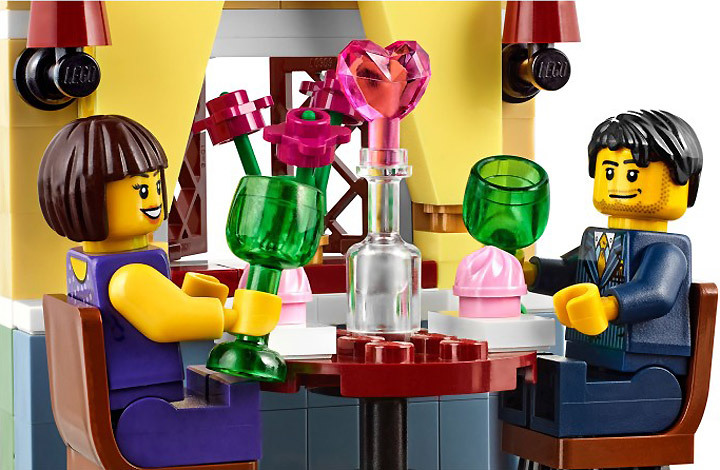 The Lego Creator Parisian Restaurant (10243) will be available to purchase in January 2014. 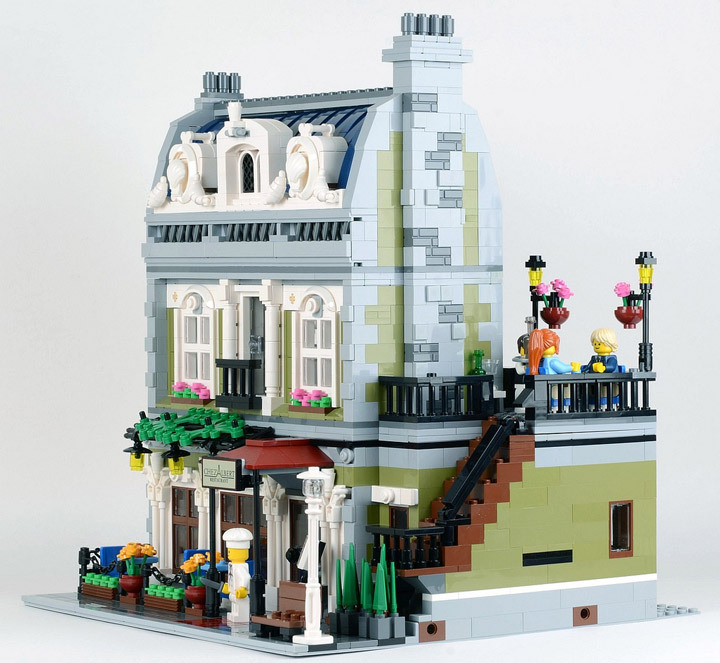 The Parisian Restaurant feels like it has been influenced by the rare Lego Market Street (10190) Modular Building. 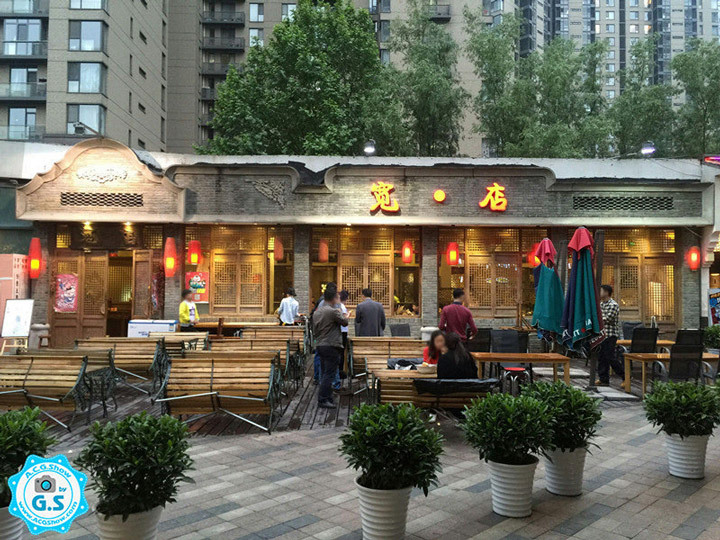 Although this new restaurant seems to avoid the problems that Market Street had. 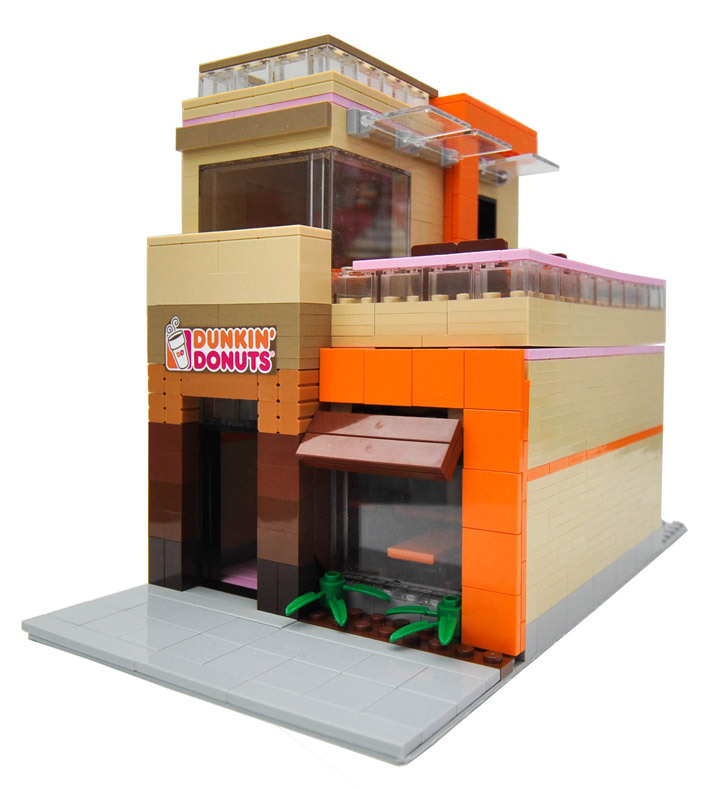 A more standard design that fits in with the other Modulars, and much more carefully thought out features. 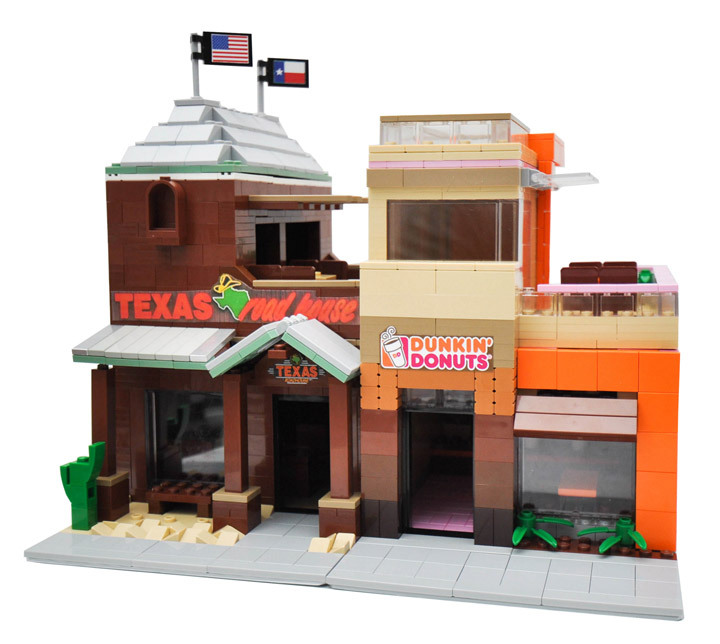 It looks like this set will fit in nicely with the latest Modular Buildings. “Have an unforgettable evening at the amazing Parisian Restaurant! Bob’s Burgers is one of the best animated programs on TV right now. Everyone seems to have a favorite character, from the chef and father Bob Belcher, to the youngest daughter Louise Belcher. 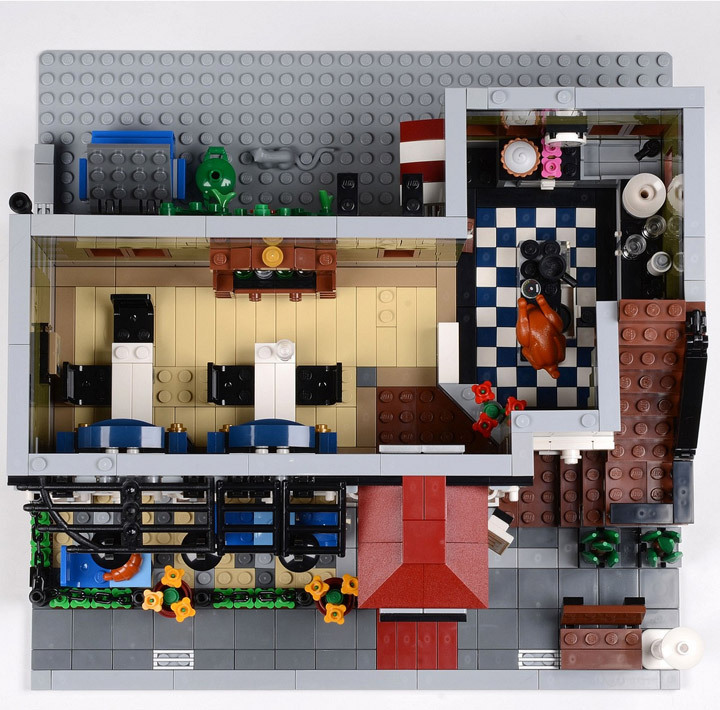 This Lego MOC features the restaurant and home of the Belchers. 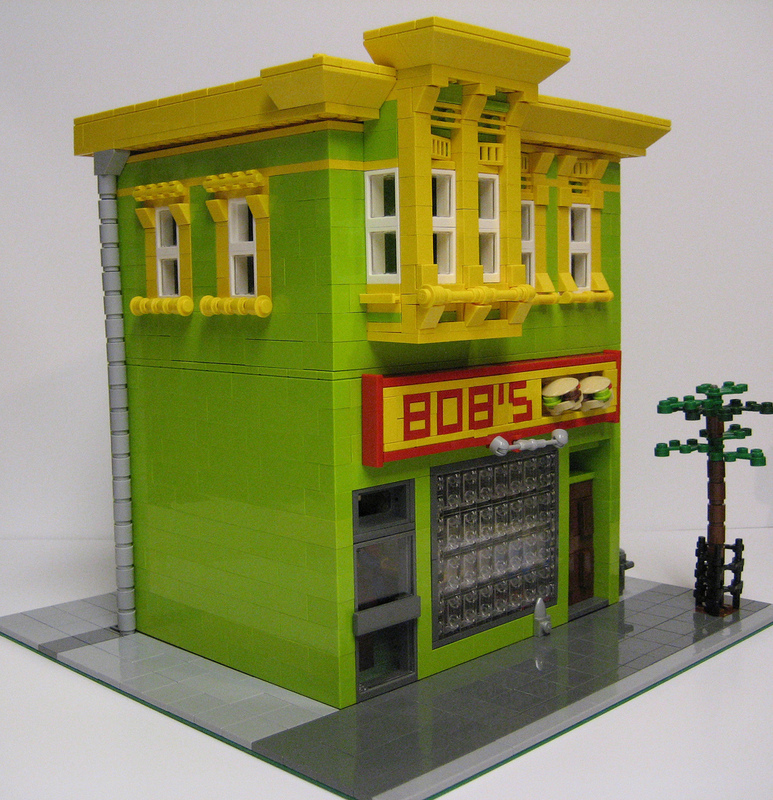 The green and yellow colors would fit right into a Modular Building scene. 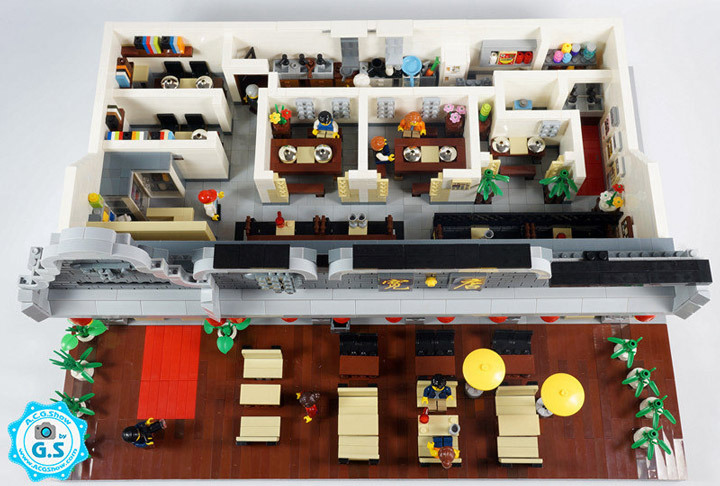 Everything is pretty accurate, just shrunk down to Lego minifig scale. 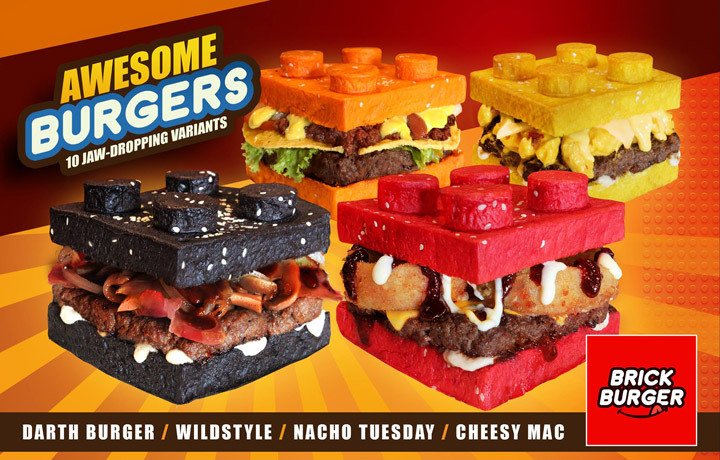 I can imagine Bob, Linda, Tina, Gene, Louise, Jimmy Pesto, Mort & Teddy all having their many adventures here.